Easter Egg Coloring Pages – A Free Printable! Coloring pages are all the rage. 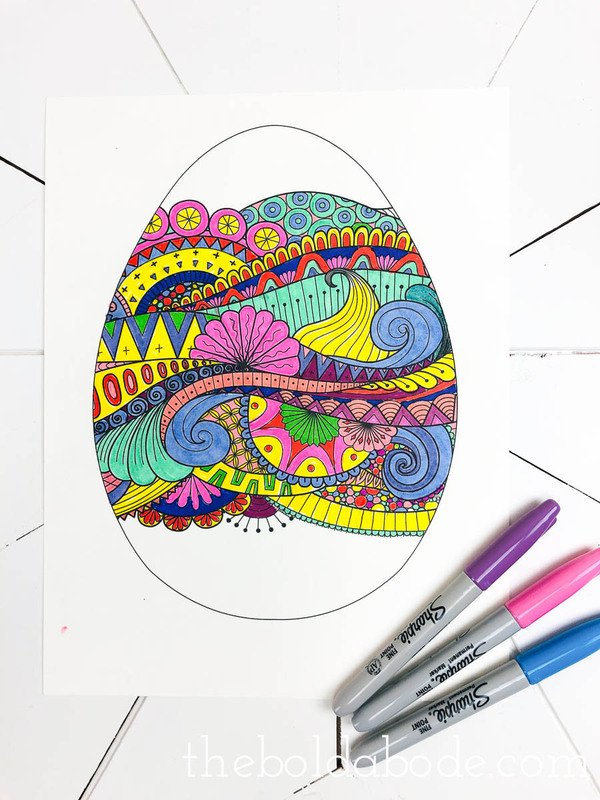 In this article, you can download my Easter Egg Coloring Pages Printable and print on cardstock to color for yourself or entertain your guests at Easter Dinner. Do you find coloring restful? If so, I hope you’ll enjoy these Easter Egg Coloring Pages! They make such beautiful art prints, so once you color them, you should totally frame them to display every Easter. 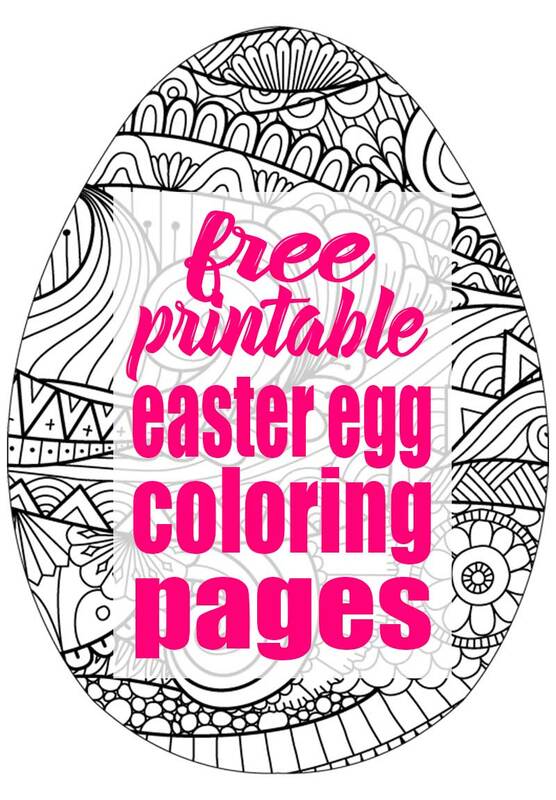 This free download includes 5 different Easter Egg templates to color. Each egg is distinct and will make such a beautiful and colorful design! Just click this link to download the free printable egg coloring sheets pdf. 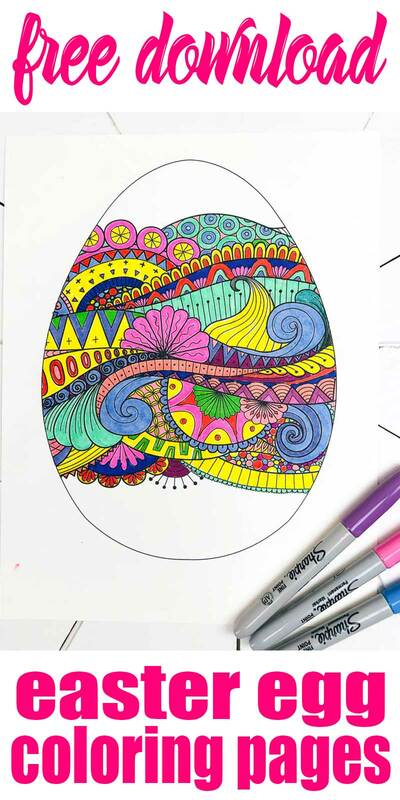 What can you color these Egg Printables with? I chose to color this one with Color Burst Sharpies. But you can use regular colored pencils or try printing the pages out on watercolor paper and using watercolored pencils. To print on watercolor paper, you’ll need to trim your page size down to fit your printer size. I just used my paper cutter and cut it down to 8.5 x 11 and it worked beautifully. If you choose to color with sharpies, be sure to color around the black lines and not directly over them because the ink will smear and mess up your pretty colors! I find that using sharpies might take a little bit longer, but the colors are so vibrant! It looks like my egg belongs on the Magical Mystery Tour! haha. I hope you enjoy these Easter Egg Coloring Pages. Print them out and share them with your friends and family!